The Department of Justice recently forced Harvard University to reveal critical details about how it selects students for admission. And it isn’t pretty. Asian-Americans have long accused Harvard of discriminating against them on the basis of race. The Asian student group Students for Fair Admissions filed a lawsuit demanding Harvard turn over documents detailing its selection process. Harvard was forced by the Department of Justice to oblige, and the new evidence has only confirmed the plaintiffs’ suspicions. Harvard’s own internal documents allege that it selects people for admission based largely on three criteria: academics, extracurriculars, and “personality.” (Athletes have their own separate category.) Asian-Americans categorically score extremely highly on academics and extracurriculars—the highest of all races, according to the internal Justice Department report. On all the “observable” measures of personality traits, Asian-Americans do extremely well, so contends Duke economist Peter Arcidiacono, who filed a statement on behalf of the plaintiffs. It is on the “non-observable” measures of personality traits where Asian-Americans appear to fail spectacularly. 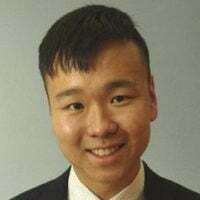 Professor David Card, reporting on behalf of Harvard’s position, stated in his own report that Asian-Americans have “weaker average unobserved characteristics” than other applicants. In addition to the observables, Harvard admissions officers make a subjective measurement of an applicant’s personality based on traits like “courage,” “leadership,” “relational skills,” and “personal attractiveness.” Alumni who interview Asian-Americans generally give them extremely high marks for all these categories. Asian-Americans also generally have excellent leadership standing among key extracurriculars. So what could account for these hidden “unobserved characteristics” that damage Asian-American prospects so thoroughly? The evidence points to race, and the ugly stereotypes that are ingrained within them. Asian-Americans have long endured painful stereotypes as being “test-taking robots” who have no personality. 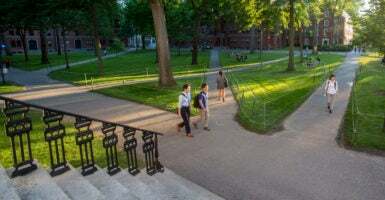 Harvard admissions officers, either intentionally or unintentionally, dismiss Asian-American achievement as manufactured from these “robot” exoskeletons. But nobody has a problem with too many black players in the NBA, or too many females in news media. This rationale only ever seems to come up when talking about Asian-Americans, who themselves have also historically endured discrimination in the United States. Why the double standard? Because Asians are nerdy and unattractive? In this case in particular, I can’t help but recall echoes of “go do your math” and other racist stereotypes that infect our political discourse. In the early 1900s, Harvard systematically discriminated against people of Jewish descent out of fear that they were eating into the historically Protestant image of the university. It got to the point where Harvard put out a blanket quota on Jews, citing subjective things like “personality,” “charisma,” and “leadership” to justify their stance. Harvard’s discrimination against Jews was later reversed. But this new form of discrimination lives on. Harvard, of course, denies any actual quota against Asian-Americans, for an actual quota would be blatantly unconstitutional according to the precedent set by the historic Regents of the University of California v. Bakke case in the 1960s. But Harvard’s denial is putting lipstick on a pig. For the past 20 years, the Asian-American population at Harvard hasn’t budged, even as their grades and SAT scores continue to increase every year. The average Asian-American applicant between 1995 and 2013 had a 30 percent lower chance to get into Harvard than the average white applicant, and a 40 percent lower chance than the average black applicant. The bottom line is this: Harvard asserts without evidence that Asian-Americans have “unobserved” characteristics that cause their personality score to plummet, thereby justifying their discrimination against them. These unobserved characteristics can only be the function of racist stereotypes against Asian-Americans. This is why Harvard cannot win this lawsuit. If it does, the United States would be legitimizing attitudes and prejudices that violate one of America’s principal maxims: that people should be judged based on the content of their character rather than the color of their skin.